It’s a good job the Boxster is a class act to drive because it needs to justify its huge £13,266 premium, after dealer discounts, over the TTS. In fact, whichever way you slice it, the TTS is cheaper by some margin. 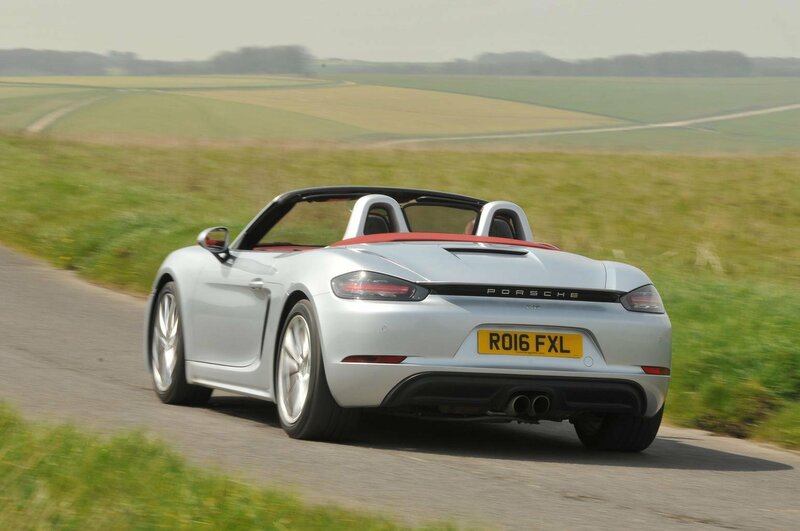 Both cars are predicted to lose the same percentage of their value over three years, but the Boxster’s higher starting price means it will lose you £8451 more in hard cash. The Boxster is also more expensive to tax, insure and service than the TTS, although only by a total of around £1100 over three years. 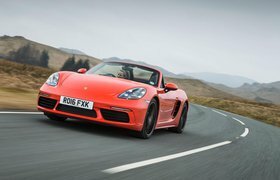 You’ll pay £200 a month more to lease the Boxster or, if you’re running one as a company car, close to an extra £5000 in benefit-in-kind (BIK) tax over three years. Private buyers opting to take out PCP finance will have to fork out £352 a month for the TTS, versus £626 a month for the Boxster, assuming the same £10,000 deposit on a 36-month agreement. 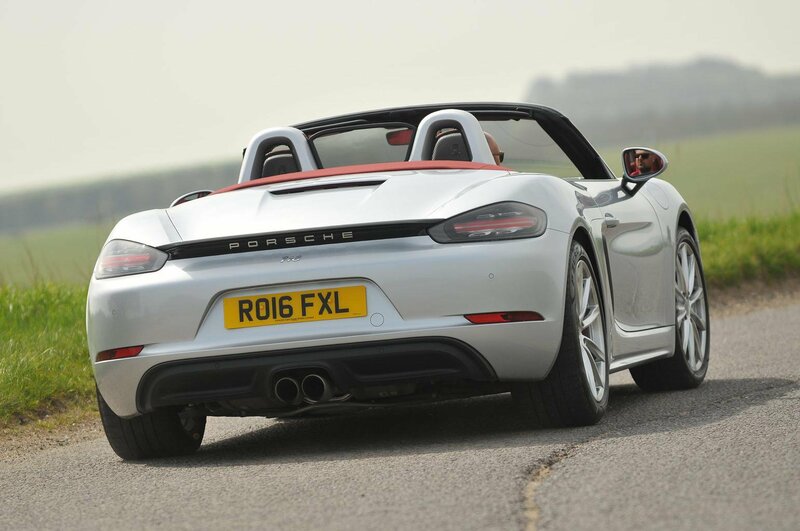 The Boxster’s new four-cylinder engine does have its benefits, though. It beat the TTS in our real-world fuel economy tests with a reasonable average of 34.0mpg, compared with the Audi’s 32.7mpg. Both car makers are a bit stingy with standard equipment, charging extra for sat-nav, cruise control, metallic paint, rear parking sensors and climate control, although you do get manual air-con, 19in alloys and Bluetooth in both. The TTS also comes with heated seats, a DAB radio, automatic wipers, adaptive dampers and a multi-function steering wheel as standard, all of which cost extra on the Boxster. 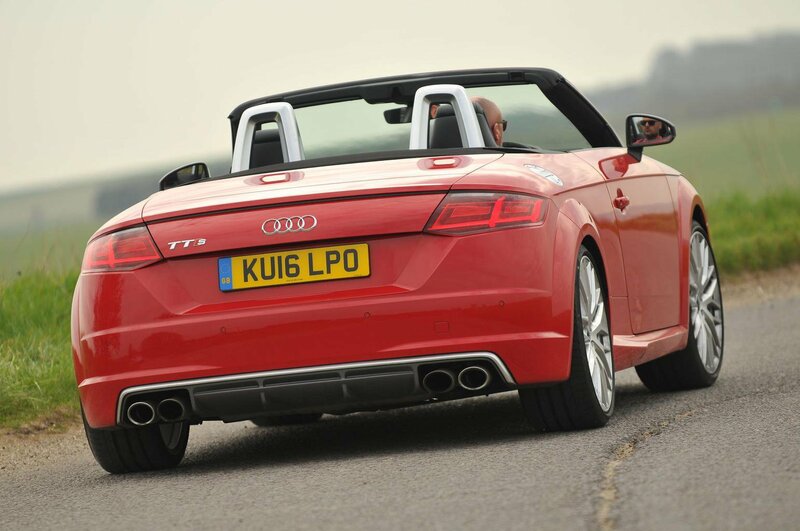 The Porsche gets a wind deflector as standard, though, whereas Audi charges an extra £425 for this. Only the TTS has been crash-tested by Euro NCAP, scoring four stars out of five. Both cars are fitted with six airbags, although only the Boxster can be optioned with automatic emergency braking; it’s disappointing that Audi doesn’t offer this at all on the TTS. Highly desirable cars such as these need to be secure, so it’s good to know both scored equally well in Thatcham’s tests, gaining five stars out of five for resisting theft, and four stars for guarding against being broken into.